A modern take on traditional style area rugs this area rug will warm up your decor in rich shades of green, beige, red, and brown. Featuring a durable yet soft polypropylene construction this beautiful rug will make a wonderful addition to any room. Dimensions 93.0 In. X 63.0 In. X 0.43 In. 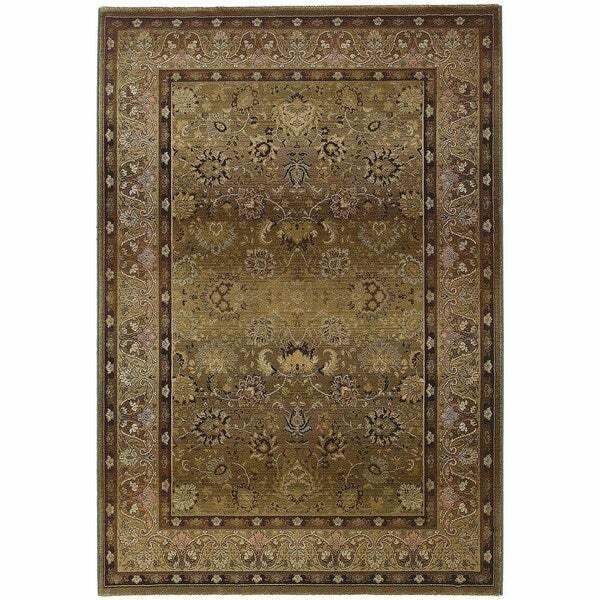 Couristan Monarch Yamut Antique Cream-Mocha Area Rug - 5'3" x 7'6"